Astea developed the Stageit platform on behalf of Stage It of Los Angeles. 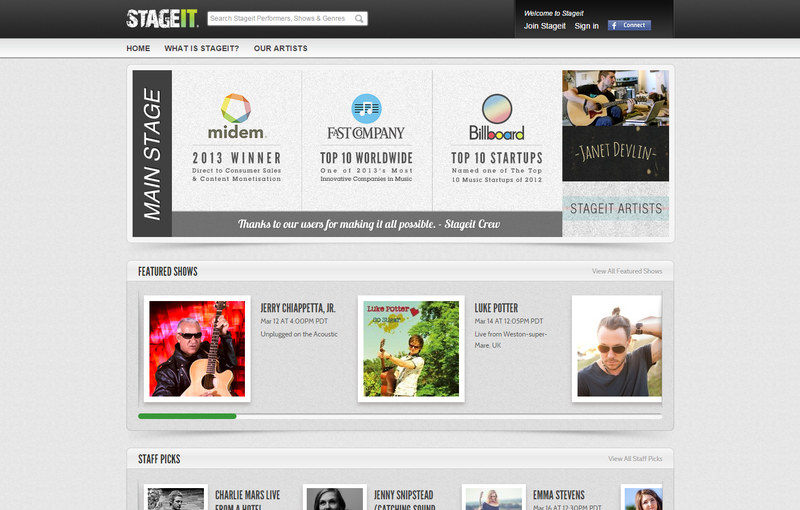 Stageit was founded by Evan Lowenstein of award winning indie duo band Evan & Jaron. Part of the inspiration for Stageit is Evan’s own interest in finding ways to reach audiences without having to go on tour. Stageit is an online venue where recording artists perform live, interactive, monetized shows for their fans directly from a laptop, thereby offering fans a highly personalized experience. Stageit brings fans closer to the stars they love and lets them interact directly online. 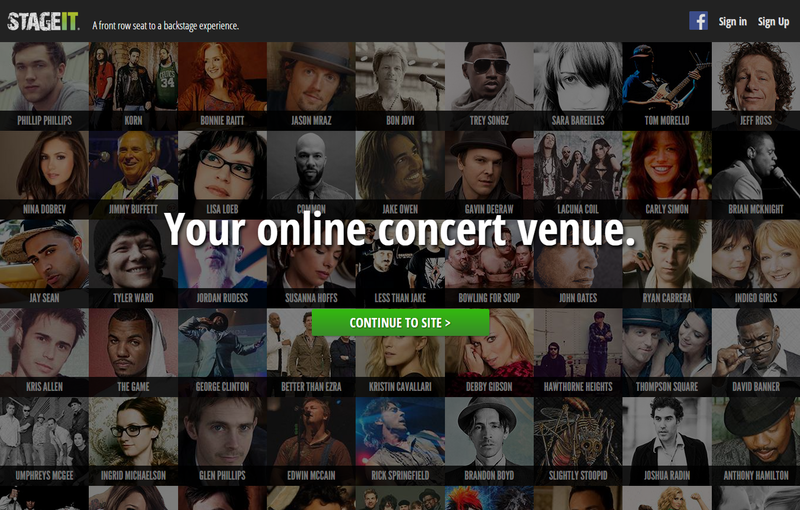 Though primarily focused on musicians, Stageit can accommodate any live performance or event. 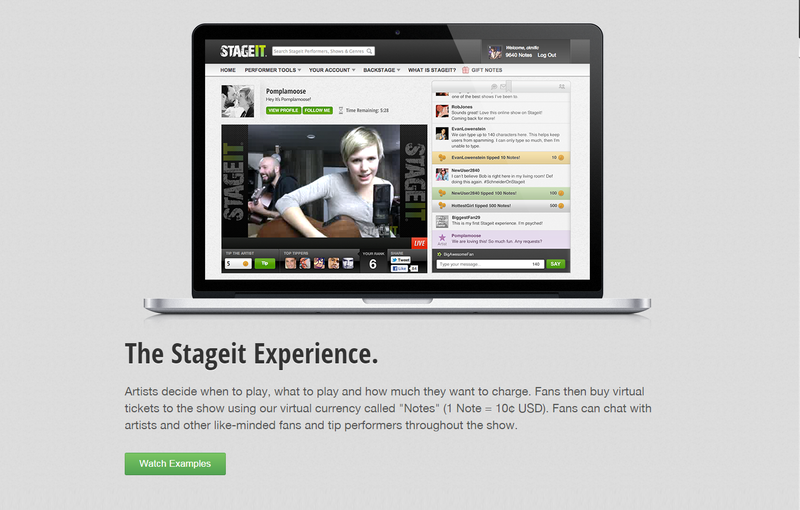 With Stageit, both fans and artists are part of the show. Fans are encouraged to ask artists questions, to request songs, and to chat with other fans during the show. 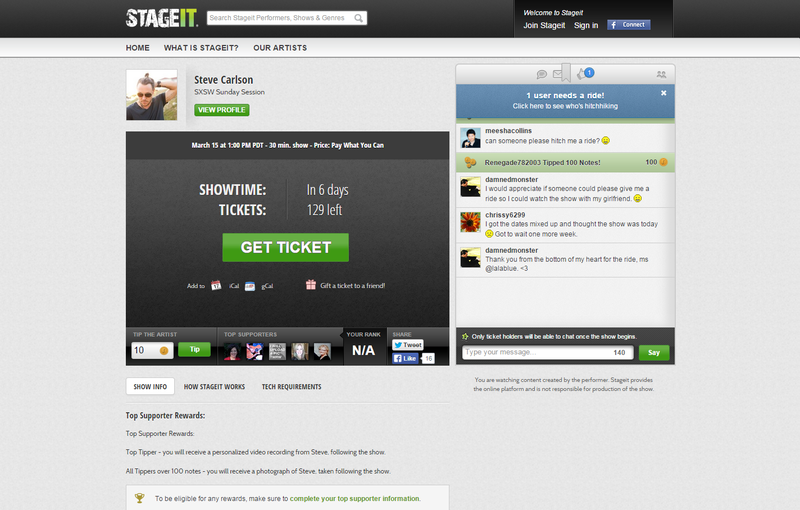 Stageit also allows fans to support artists. Whether you are helping an artist finance their next album or contributing to her favorite charity, Stageit helps artists to get paid for their time.